Robuck Security is a Security Company over 40 year heritage and a reputation for setting the benchmark for service, quality & protection for our clients. 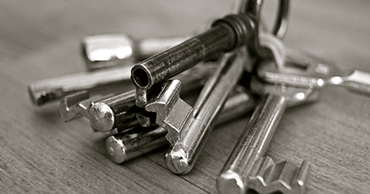 Our commitment to Excellence Through Diligence represents how we work, establishing a total security plan for our clients then closely managing the delivery of that plan. Excellence Through Diligence is also reflected in our ISO 9001-2008 accreditation, our use of proven technology, our established security protocols and the integration of our three core services: Guarding, Electronics & Patrols. Robuck Security’s aim is to deliver a comprehensive yet flexible service that can be adapted to suit the unique needs of each and every client, and our personnel have been trained to adopt a customer-service focus in addition to their traditional guarding role. As part of this focus, our guards are well-presented at all times and are inducted into our clients’ sites so that they can act in accordance with our clients’ policies, procedures and requirements. 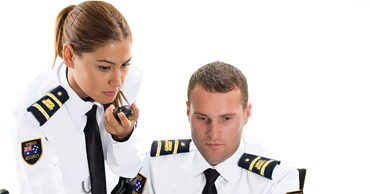 Our Security Officers have the flexibility to perform a wide array of functions depending on our clients’ needs, and can fulfill the roles of Supervisors, Team Leaders, Control Room Operators, Gatehouse Officers, Patrol Officers, Static Officers, concierge and reception staff. All of our guards have undergone the highest industry training and hold a minimum Certificate II in Security Operations and First Aid Level 2. In addition to this, our ongoing training allows us to provide refresher training and further training to complement our guards’ current skills sets. Our Security Officers are supported by a team of industry professionals and a dedicated Contract Manager, who will manage the entire contract on a daily basis. 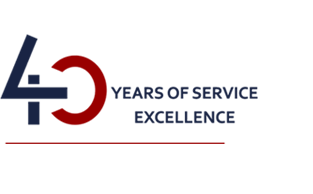 Robuck Security recognises the importance of a quality-assured service, which is why we gained ISO 9001 accreditation in 1995 and have upheld it to this day. Our entire business is heavily themed on our Quality Management System, which aids us in providing our clients with a consistently high-quality service coupled with the unparalleled customer service that we are renowned for. An extensive Pool of Staff who are appropriately trained and experienced to service the contract requirements, and who will remain sensitive to the environment they are working in. Security Officers who are industry professionals, and who are able to perform a customer-service oriented security role in addition to their traditional enforcement role. A dedicated Contract Manager and Deputy Contract Manager who will oversee the contract from commencement to end, and who is contactable 24 hours a day, seven days a week in the event of an emergency. An ISO 9001–certified Quality Management System that governs our procedures and ensures consistency and quality in all aspects of our service. Proven OH&S systems and Standard Operating Procedures to ensure a healthy and safe working environment. Appropriately Trained Back-up Staff who are able to provide continuity of service in any situation. Assurance that Robuck Security Staff will act professionally and ethically as effective ambassadors for Toll Group at all times. With Robuck Security, you will be offered all the benefits of a large security company without compromising on the quality of customer service that is associated with smaller entities. Robuck Security is a Tier 1 Security Company with a 40 year heritage and a reputation for setting the benchmark for service, quality & protection for our clients. As part of our Quality Management System we conduct regular audits and also assess the impact of any new work on the service levels provided to existing clients. 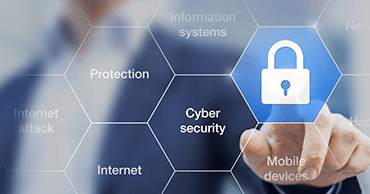 A business with a structured and properly managed security approach, appropriate to the specific business risks, will more likely prosper than a business that neglects these risks. Robuck Security has experience across key industry sectors and clients.Our commitment to our clients means that we are visible, contactable and responsive. Robuck Security have been leaders in the security industry for over 40 years, and since our inception in 1977 we have grown to become a national security company without compromising on the level of customer service which stems from being a family-owned-and-operated business. We believe that the most important aspect of any contract is the relationship between ourselves and the client, which is why we emphasize customer service above all else. Robuck Security is undeniably proud of our achievements related to customer service; after six years of being awarded High Distinctions and a Special Commendation for our customer service in the Australian Achiever Awards, we were extremely proud to be announced the Victorian state winner for Security Services (Guards and Patrols) in 2010, out of over 30 other companies. This cements Robuck Security’s well-earned position in the industry as a company that delivers on our promises time and time again.